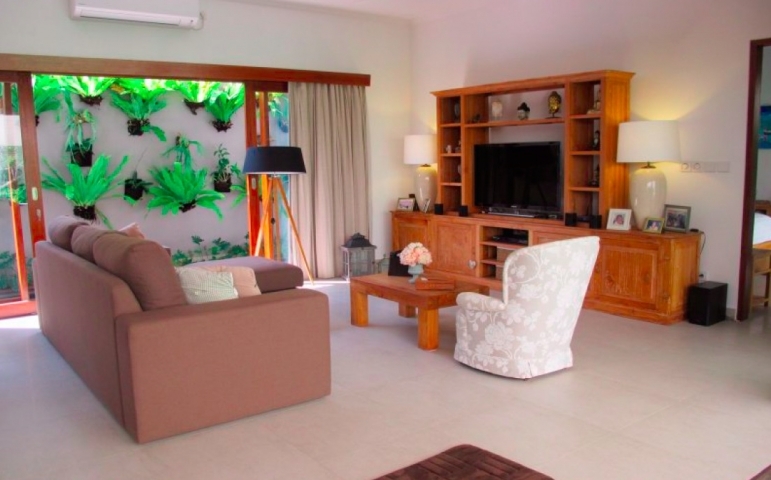 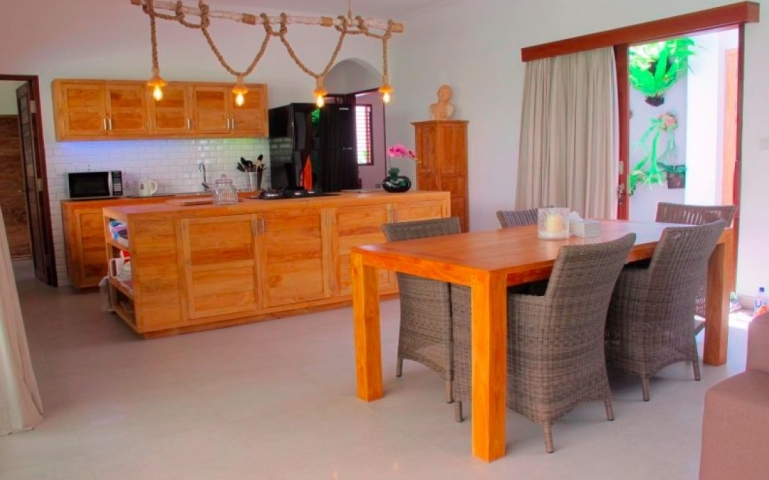 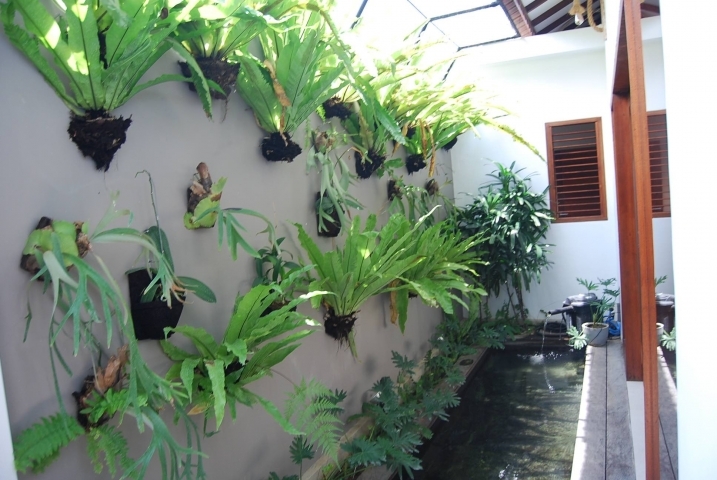 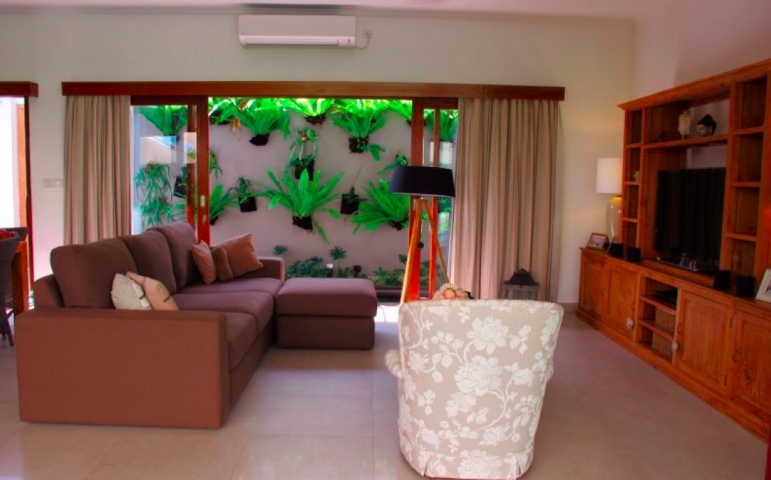 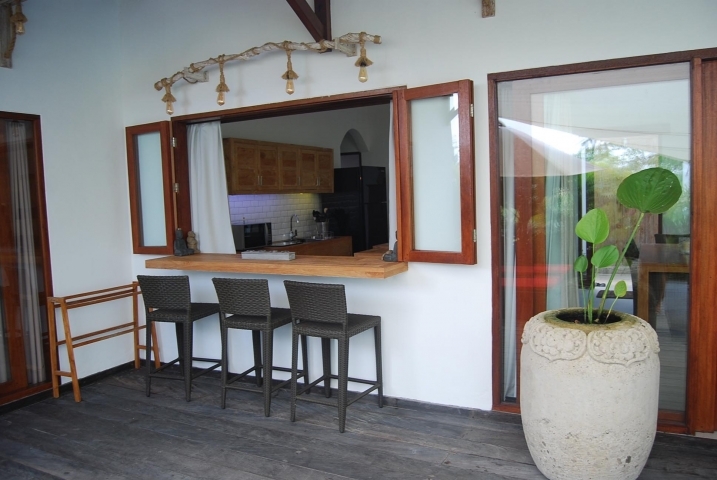 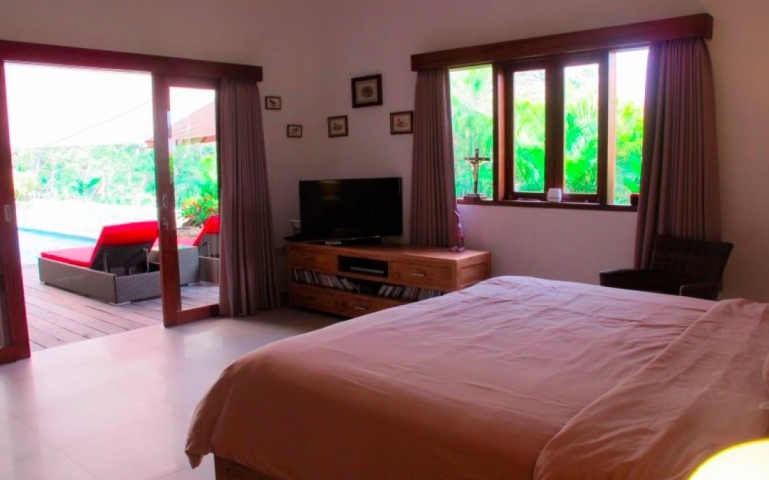 Three bedroom villa located in quiet area in Canggu - Babakan. 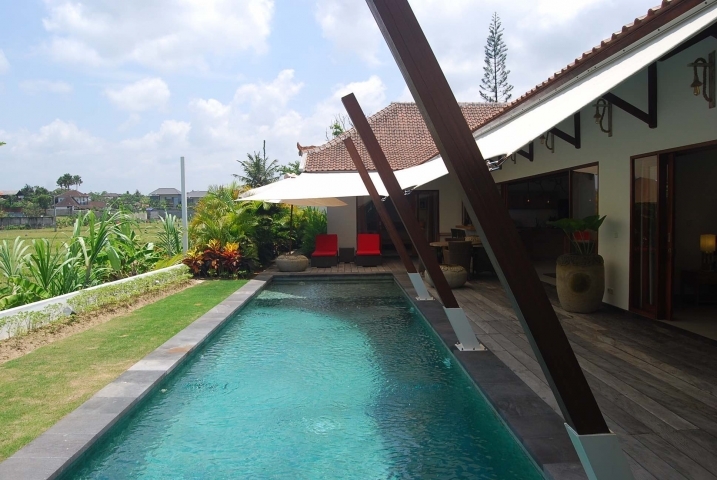 Built with high quality materials and has beautiful terrace and big swimming pool with amazing views of the rice fields. 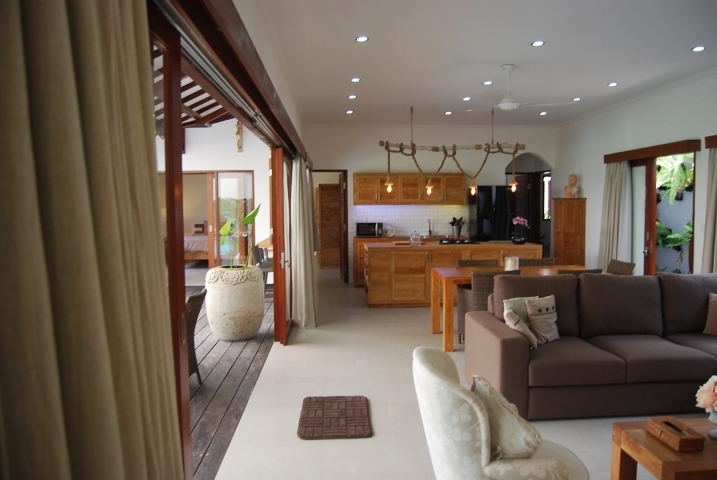 Modern kitchen, large living room with bar area on the terrace. 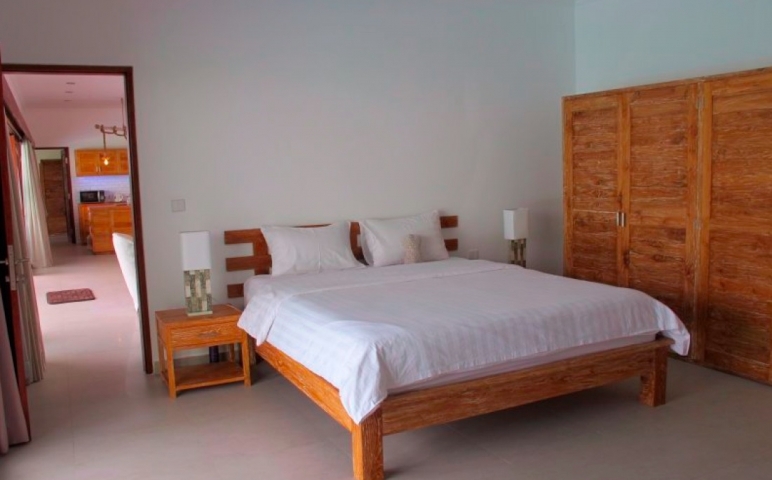 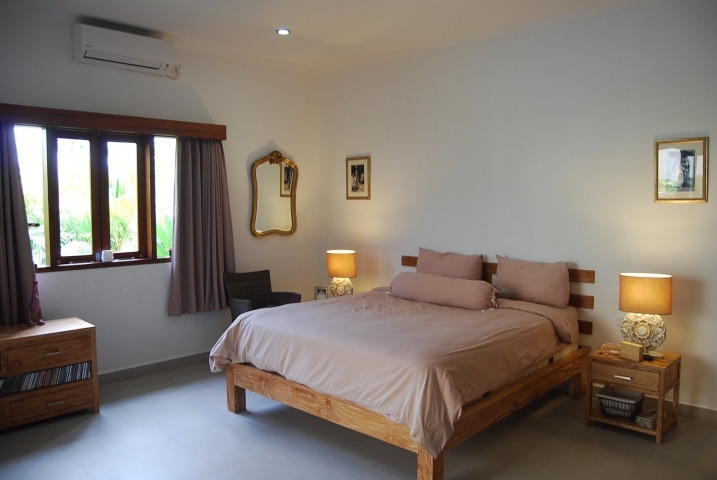 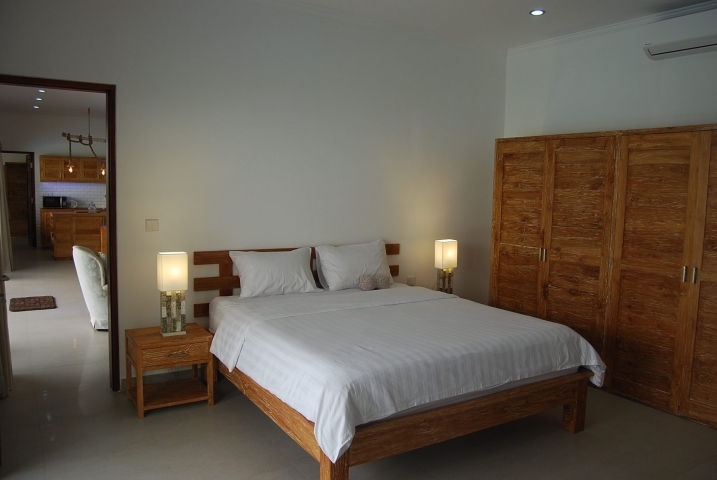 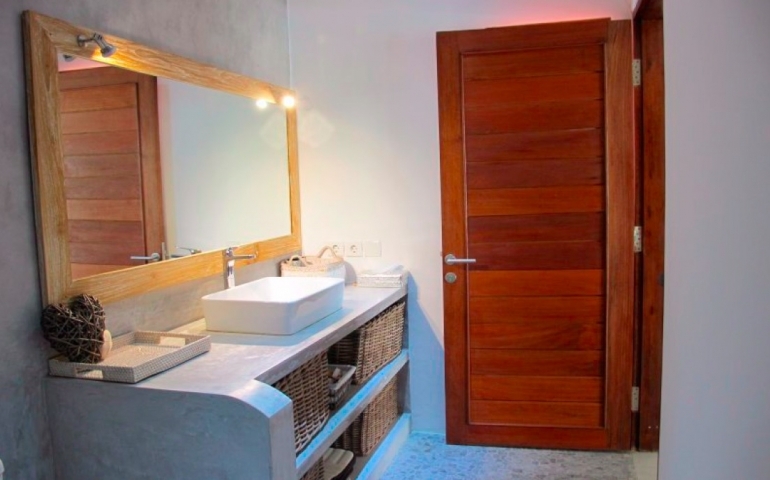 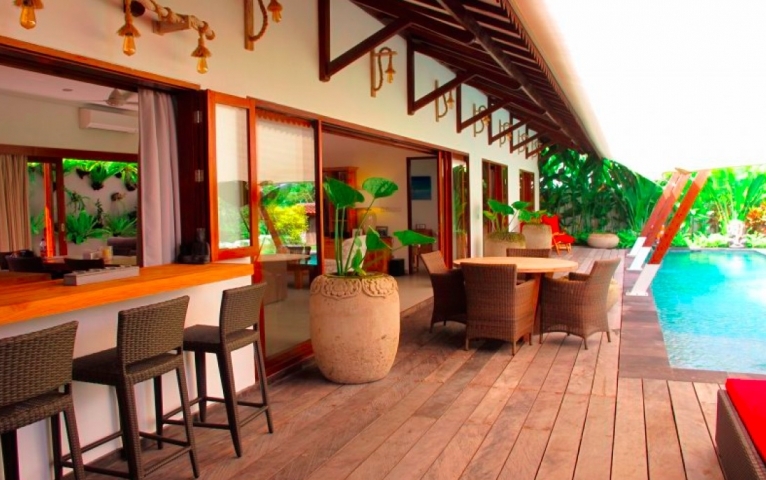 3 bedrooms are air conditioned and equipped with en-suite bathroom. 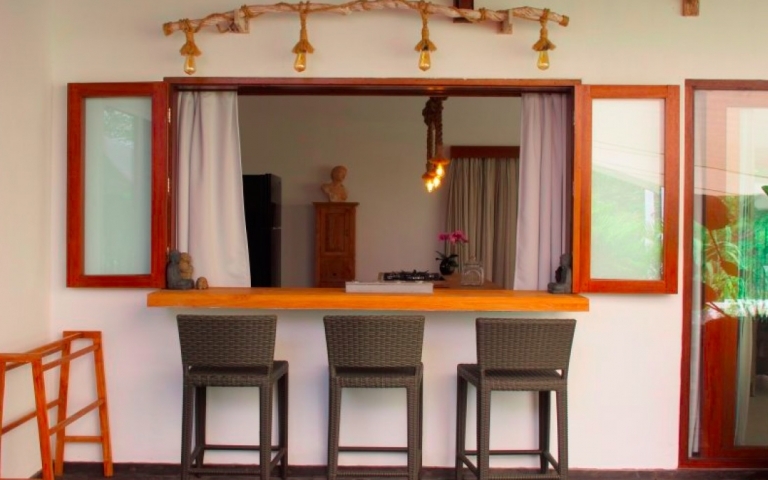 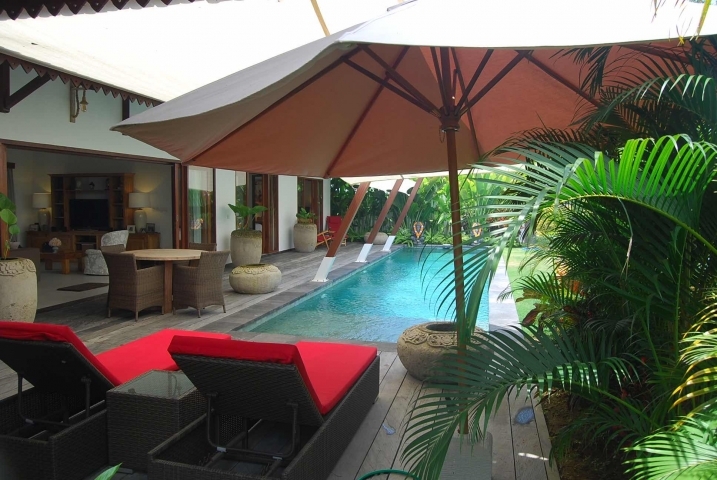 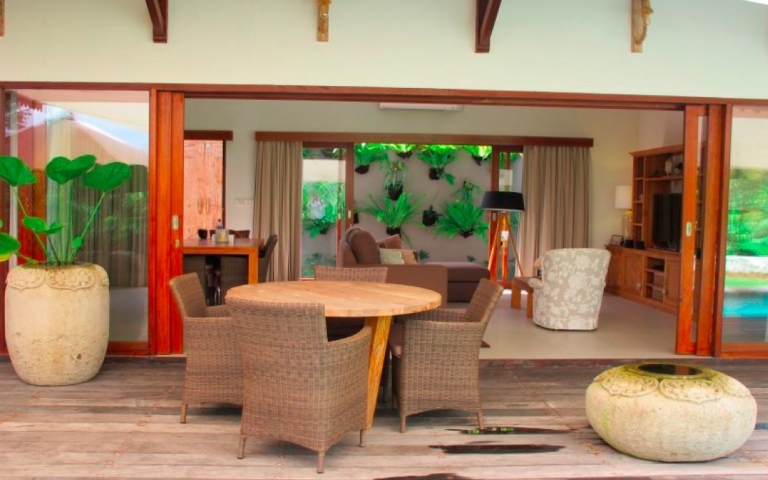 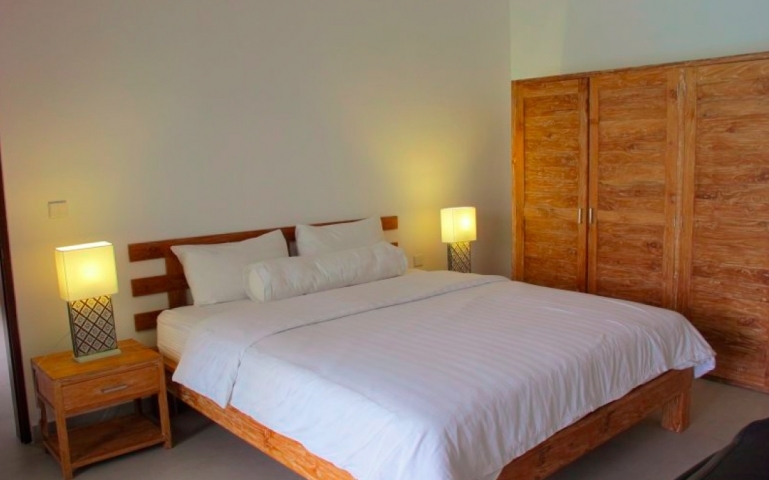 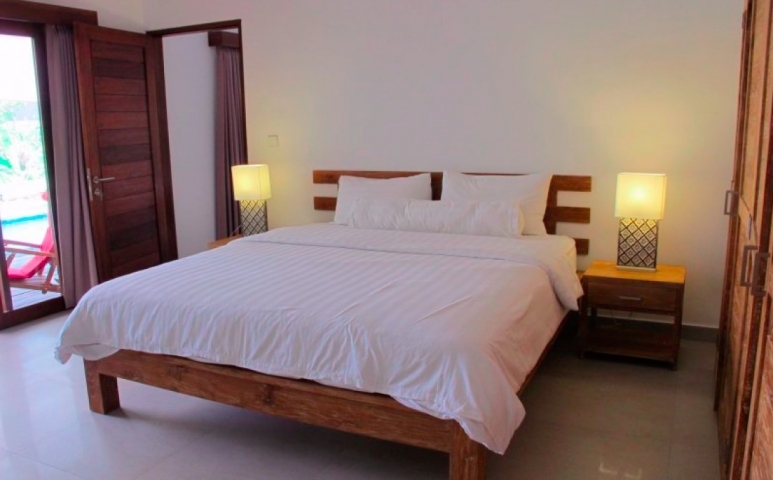 Villa is 10 minutes away from center of Canggu and 30 minutes from Seminyak.